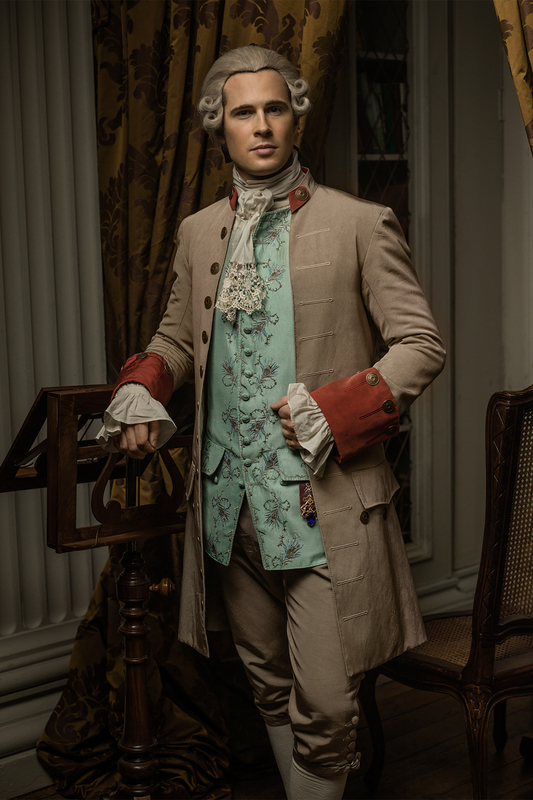 In an interview with TV Line prior to the release of the Outlander season three DVD/Blu-ray, David Berry discusses his role as Lord John Grey during season three and the upcoming season four. There are spoilers in this interview about season four, so I would skip this post for now if you are a non-reader. Excerpts are below, but please head over to TV Line to read the entire interview. TVLINE | I read an interview where you said you’ve read a lot of Diana Gabaldon’s Lord John novels and novellas. Have they given you any insights into the character that helped you portray him in Season 3? Yeah. When I first stepped into the role, I hadn’t read anything, and then I went ahead and read as much as I could. And I don’t know, what did I really glean from it? You know so much is already there on the page. A lot of it is lifted from the books. When you read around it you get a better sense of the stuff that isn’t written there. One thing I guess: It informed my performance in the Governor’s ball sequences. [An extended] interaction between John and Claire that didn’t make it into the episode, that I still wanted to play a sense of that relationship or infuse it with a bit of that. That tonality that there’s tension between John and Claire, it isn’t really explicitly mentioned in the scripts per se, but it’s sort of in the unspoken dialogue between the three characters, John, Jamie, and Claire, and that history in the book helped with that performance. TVLINE | I loved the scene toward the end of the season where, in one fell swoop, John nullifies Jamie’s arrest, dresses down the naval officer and forwards the plot. It also gave us a chance to see him a little bit more commanding than we had seen him previously. I know you can’t speak very freely about Season 4, but are there opportunities coming up where we’ll see that side of him again? Well, that was an interesting scene, because I actually only had really a night to learn it, and I was thinking, ‘Oh, my gosh, I’m never going to be able remember all these lines,’ which is frequently the case in Outlander. [Laughs] So I learnt it overnight and just gave it my best shot and I was pleased to see it came up so well. That was probably a nightmare for the editor to put together. I don’t think I ever did a full take where I said all the lines out. But what was great about it is that it just gave a sense that John is his own person and has his own agency and does command a little power. He’s not just a guy who is longing for unrequited love. In his own right he could probably have the pick of the bunch if he wanted, being the powerful guy he is. TVLINE | In Book 4, Drums of Autumn, John comes to America. Again, I’m not going to ask you to talk about stuff you can’t speak about, but it has always struck me that John and Jamie these men live in a time when it is not easy to have a friendship that spans years and continents, and yet they manage to continue that bond and have it grow closer as the years pass. What do you think it is about them that allows for this to happen? Well, they have a shared history. I think when a good friendship has some kind of shared trauma or shared experience that really binds two people closely together, and in this case being Ardsmuir. And then of course, Helwater, where Jamie entrusts John with his son, William, and that, of course, is one of the most compelling reasons to stay in touch with any friends… They also have a simpatico of a shared intellect and honor and just the way that they believe that in the moral forces of this world, whatever they are, however hard they are to see in this very brutal, 18th-century world. I think they share those things. This entry was posted in David Berry, Interviews and tagged David Berry, Interviews, Season Four, Season Three by Sarah Ksiazek. Bookmark the permalink.